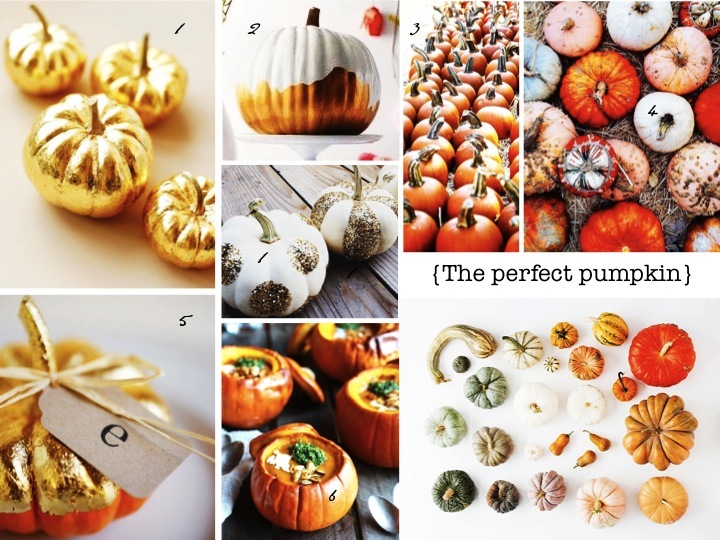 I have never been much of a pumpkin carver, eater or decorator, however, I have been so very inspired by some of the wonderful pumpkin related pins on Pinterest (above) from those much more spirited then myself. I did paint some little ones at the beginning of the month, however, they didn't turn out nearly as good as the ones highlighted here! I think next year I will start decorating fake ones so I can re-use them and not worry about them spoiling. Of course Halloween to me means costume time! I LOVE themes and in college my sorority always attended fun themed-dress up parties where creativity was key and dressing up made all the difference. Halloween at that point seemed too unrestricted as a result (dress as anything?). However, post grad I have started again having fun with costumes and that is thanks in huge part to my bestie Emma, with whom I have created epic Halloween costumes with including being "Cookie Monster & Big Bird", "The Fab Five" & "eM&Ms". This year will be even better, but it's top secret for now! 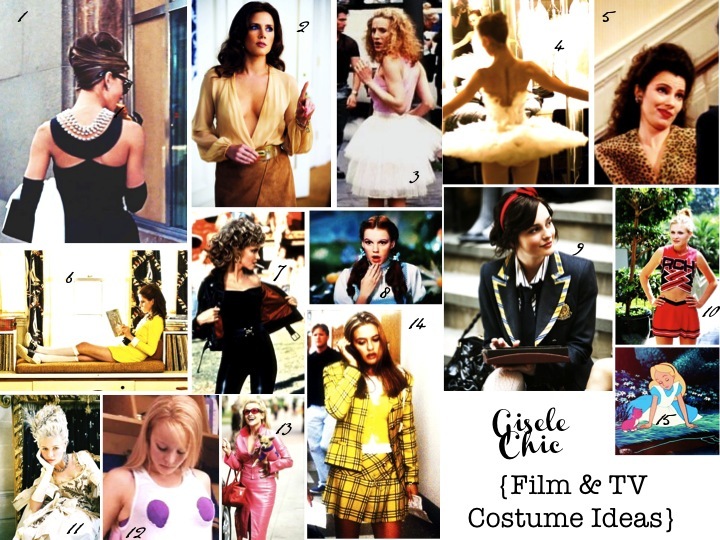 In the spirt of Chic-o-ween, I provided some Gisele Chic approved character inspiration (above) from some of the film and television icons I personally love and believe would make for a fabulous Halloween costume! Enjoy! 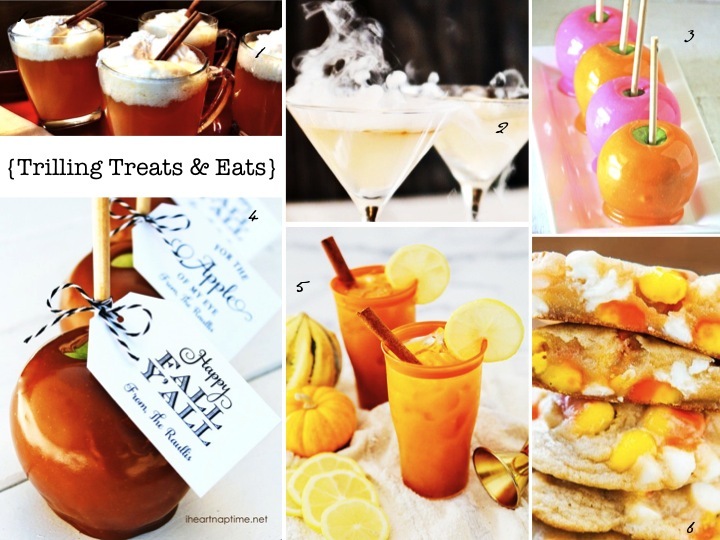 Although I am not hosting a Halloween get together this year, I still can't help falling for all the tricks and treats crowding the blogosphere right now! How delicious are these candy corn cookies by Averie Bakes? I die. Definitely a must bake request for my dessert loving roommate/bestie to help me create! And these candy apples, I just can't get enough of the colorful caramel by Rose Bakes and the preciously tagged treats by Bloom Desgins & I Heart Nap Time! So cute! I am a sucker for personalizing anything, even edible goods. 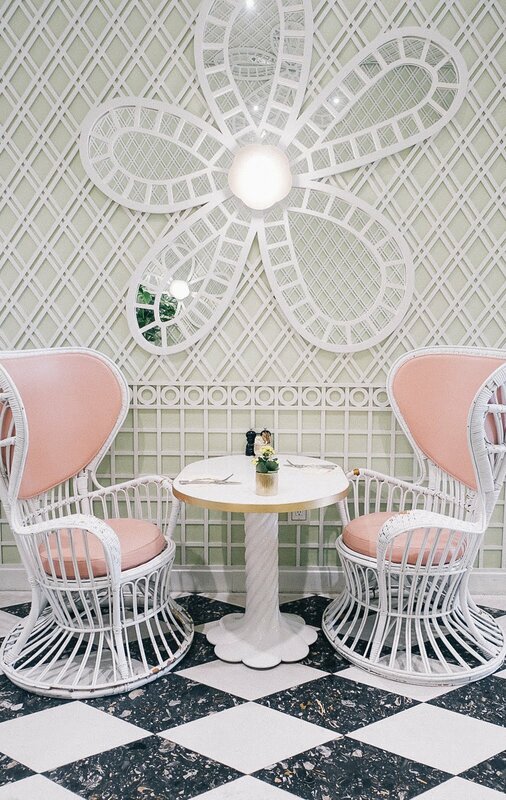 The cocktails here look divine, I am obsessed with the cinnamon sticks! Will need to add the item to my bar cart! I still need a lesson in dry ice cocktails, I assume it requires some type of advanced refrigeration system but I am willing to do the research! 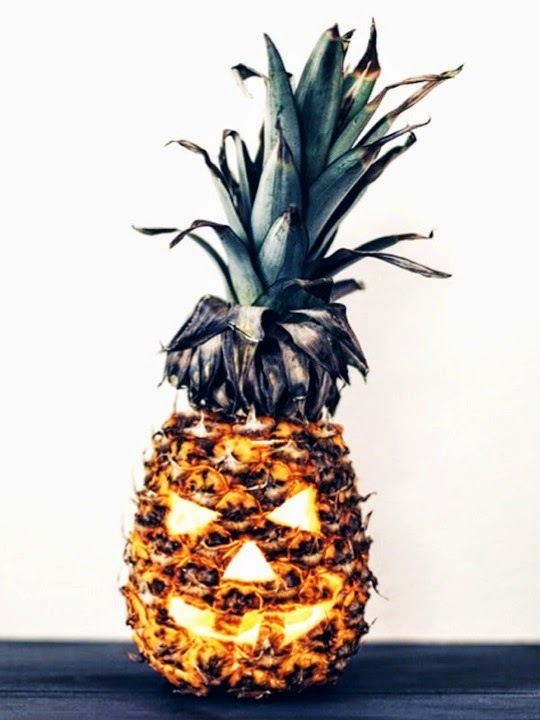 Hope everyone has a safe & spooky Chic-o-ween!